WhatsApp updated the application with new additional image doodling feature like Snapchat. The feature, which let you perform Snapchat style drawing on photos and videos. Firstly, this feature was introduced in a testing phase back in early September. The latest version of WhatsApp now allows finger made drawings as well as emojis. It has introduced stickers, the sticker set is called Tweemoji. 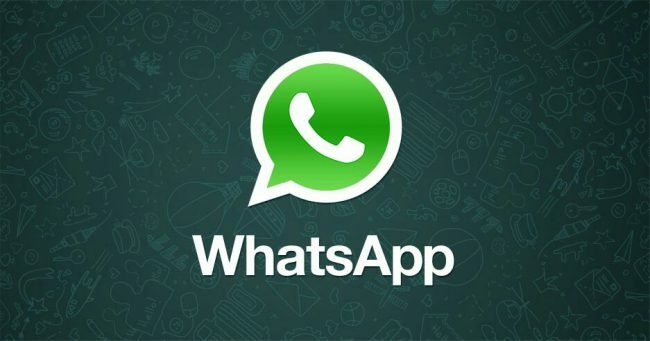 The sticker can be dragged around, rotated and the pinching gesture can be used to resize, text can be added in pictures, with options to change the font and colors, WhatsApp allows users the option to use speech and thought bubbles as well. The patch notes strangely enough, does not mention the Snapchat inspired drawing and stickers feature at all, which seems to be the most important new features in this round of updates. There is another update adds front facing flash, so selfies senders get their good side, even in poor lightning means the screen goes bright when taking a selfie, as well as the ability to zoom and switch between front and back camera while recording video in app. The new features are being rolled out around the world. If you are using an Android device so you can check out all the new additions right away, but in IOS device this feature will be coming soon.